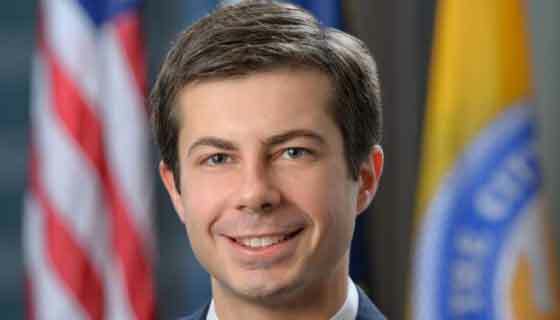 Mayor Pete Buttigieg made his 2020 presidential campaign official on Sunday during a kickoff in downtown South Bend. Although originally planned to be outdoors, the announcement was moved indoors due to inclement weather. The campaign event – which drew a standing room only crowd of over 2,500 people – took place Sunday afternoon at Studebaker Building 84. Studebaker Building 84 is the largest of the former industrial buildings undergoing extensive rehabilitation as the city – under Buttigieg’s leadership – attempts to woo tech firms to town. The Studebaker factory closed its doors in the 1960s, resulting in devastating layoffs and a citywide population decline that continued for decades. 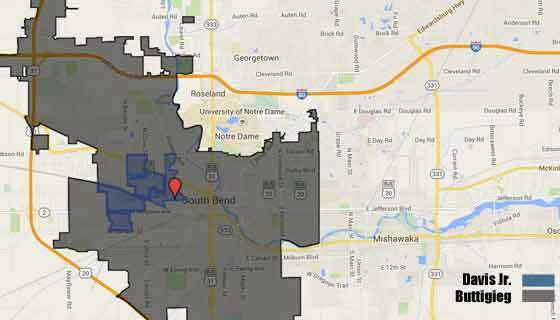 After peaking at just over 132,000 residents during the 1960 Census, South Bend saw its population decline to 101,166 by 2010. The city is on course for modest growth during the 2020 Census, with a 1% population gain estimated as of 2017. The city’s downtown shows signs of life for the first time in a generation, and unemployment is down to near-historic lows. Much of Buttigieg’s speech focused on his attempts to turn around the moribund Midwestern city. He says that his priority as mayor was to look to the future and bring new and growing industries to South Bend, not to promise factory jobs that were never coming back. “There’s a myth being sold to industrial and rural communities, the myth that we can stop the clock and turn it back. It comes from people who think that the only way to speak to communities like ours is through resentment and nostalgia,” Buttigieg told the crowd. “It is time to walk away from the politics of the past and towards something totally different,” the 37-year-old openly gay candidate argued, positioning himself as a candidate of generational change. Buttigieg continues to receive national media attention in his quest for the presidency. After raising an impressive $7 million in the first quarter of 2019, he has seen his standing rise in both state and national polls. The upward trajectory comes despite lacking the name recognition of more prominent opponents in a crowded Democratic presidential primary field. Whether Buttigieg’s momentum will continue is yet to be seen, but today’s announcement could prove critical in establishing Buttigieg’s brand with a national audience.